Owning a truck is all about being able to solve problems. You need to haul tools for work or you want to spend your weekends off-roading, so you bought a truck. Whatever the reason is for buying a truck, there are some items that don’t come standard on most trucks that will make it even easier for your truck or SUV to meet your needs. 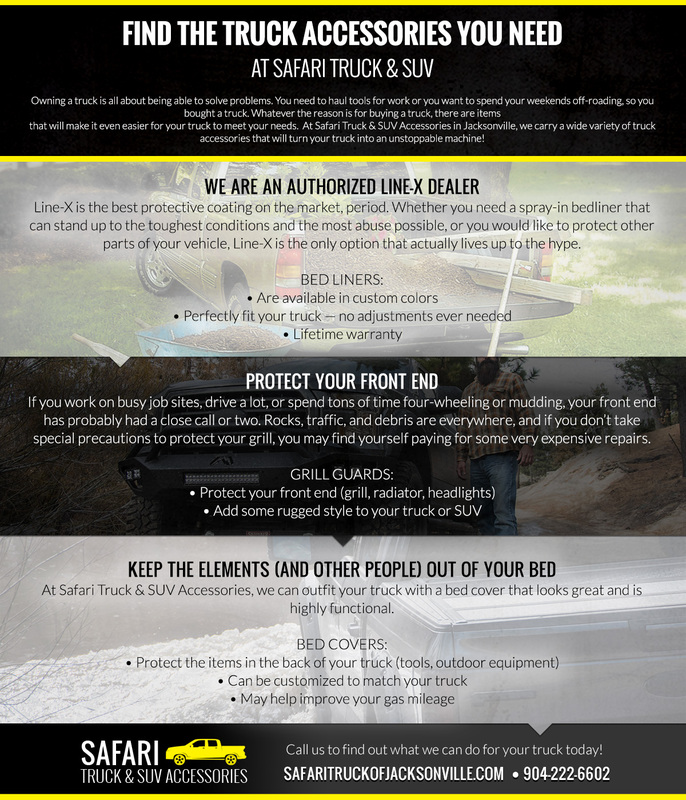 At Safari Truck & SUV Accessories in Jacksonville, we carry a wide variety of truck accessories that will turn your truck into an unstoppable machine! 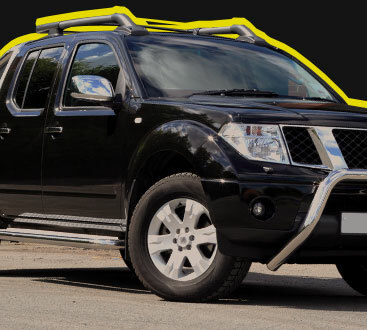 Our installers have years of training and experience customizing SUVs and trucks, so you never have to worry about whether the work will be done right when you choose Safari Truck & SUV Accessories in Jacksonville. Contact us today for more information about our shop or for a free estimate. Line-X is the best protective coating on the market, period. 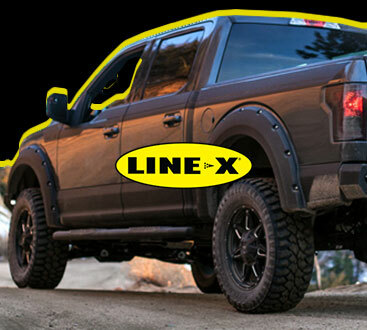 Whether you need a spray-in bedliner that can stand up to the toughest conditions and the most abuse possible, or you would like to protect other parts of your vehicle, Line-X is the only option that actually lives up to the hype. Available in a variety of custom colors to perfectly match your vehicle. Perfectly fits your truck — no adjustments are ever needed. Every Line-X coating comes standard with a lifetime warranty. If it peels, discolors, or chips, we will fix it. Line-X coatings help prevent rust, dings, and dents, and they help absorb impacts. Line-X coatings are environmentally friendly! If you work on busy job sites, drive a lot, or spend tons of time four-wheeling or mudding, your front end has probably had a close call or two. Rocks, traffic, and debris are everywhere, and if you don’t take special precautions to protect your grill, you may find yourself paying for some very expensive repairs. Protect your front end (grill, radiator, headlights, and paint) from unnecessary damage. Add some rugged style to your truck or SUV. At Safari Truck & SUV Accessories, we can outfit your truck with a bed cover that looks great and is highly functional. We sell and install retractable, roll-up, and hard tonneau covers. Protect the items in the back of your truck (tools, outdoor equipment) from rain, snow, sleet, hail, falling debris, and theft. Can be customized to match your truck. May help improve your gas mileage. Call us to find out what we can do for your truck today! We offer free estimates, affordable prices, and unmatched customer service. If you aren’t happy, we aren’t happy. Contact us today to find out how we can turn your truck into a machine that will make your work days and your days off more fun! We are conveniently located in Jacksonville, so give us a call or stop by to see what we can do for your SUV or truck!